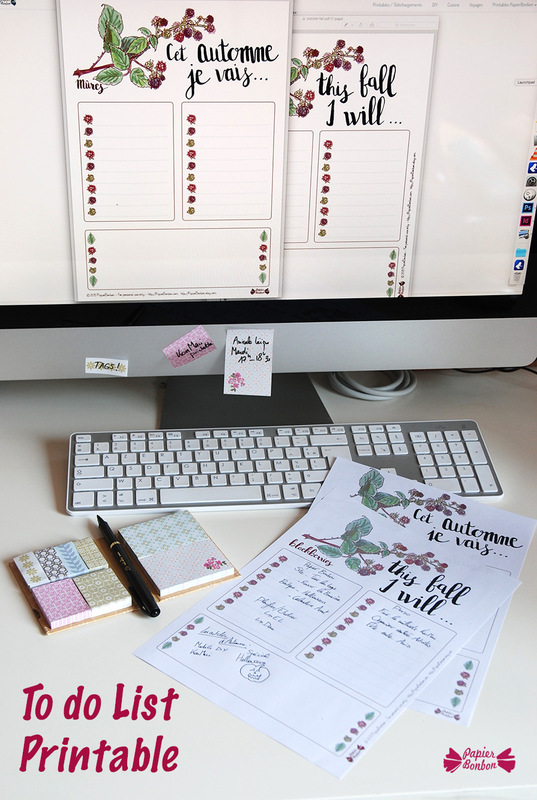 I wanted to share something different from the notepads or jam pots labels with Fairies or Elderberries I drew and posted recently. 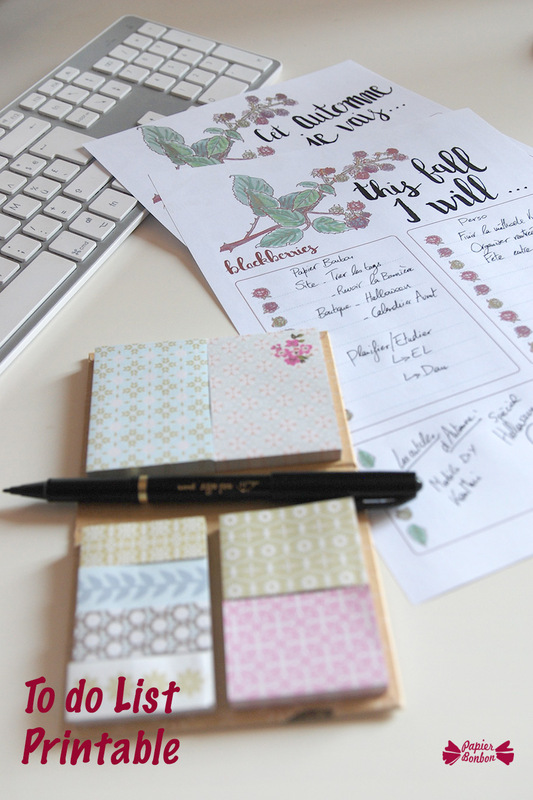 Therefore, I got this idea from my own mood as Autumn is approaching: a to do list Printable. I am indeed eager to make some changes, to organise my time better and to do some great tidying. I am reading the bestseller The life-changing magic of tidying: the KonMari Method. I hope to talk about it very soon. Some never want to take resolutions. For me, it’s the opposite. I think every beginning is a good opportunity to try and live a happier life and to organise to get it. I drew a branch of thorn with blackberries, did a little lettering. 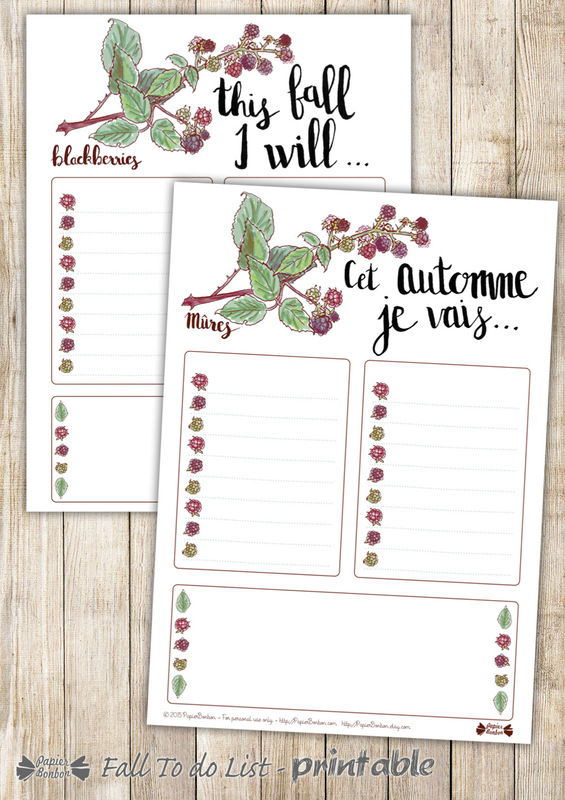 Here is the single sheet printable to write down everything you wish to achieve, to improve or just to get inspiration for this Fall.